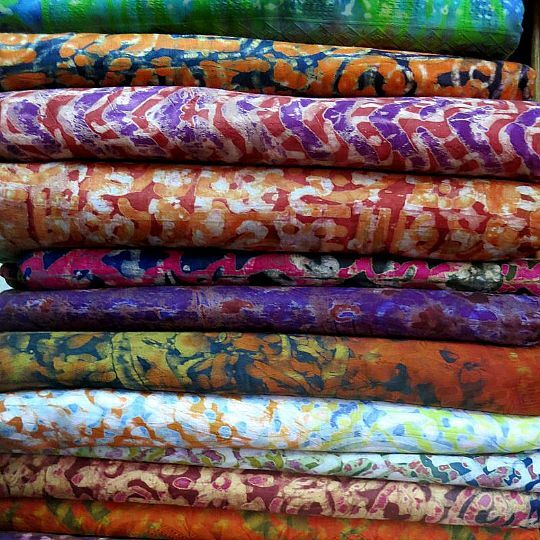 You can find some real textile treasures in the markets of Africa. 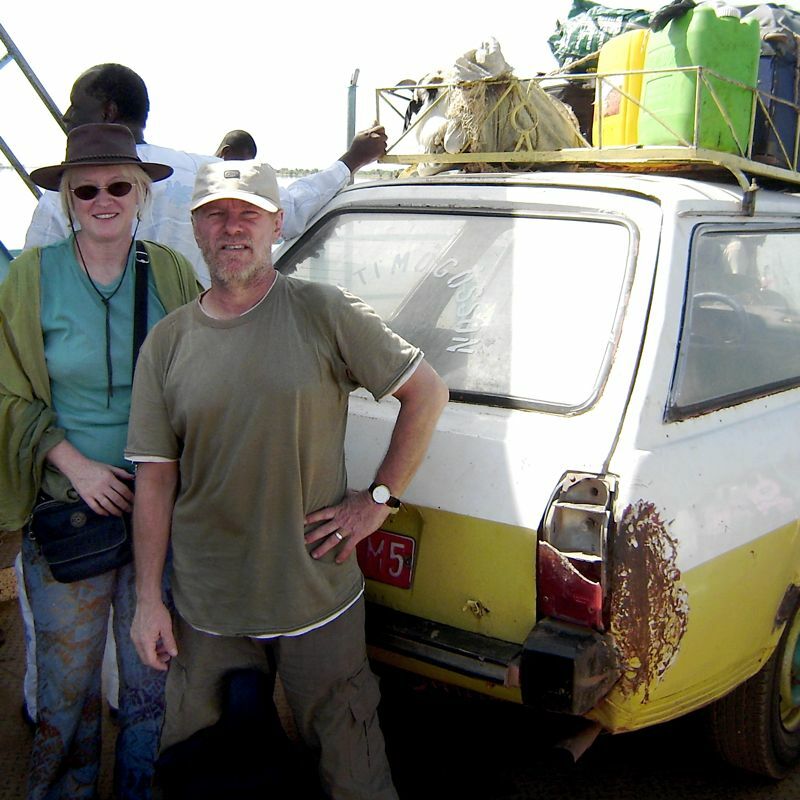 We know, because we spend several weeks per year riding the buses, tro tros, gellie gellies and 'sept place' Peugot 504s up and down bumpy, rutted tracks in search of just those treasures. We're the ones who get hot, dusty and thirsty. And we do mean thirsty! All you have to do is put the kettle on and browse our website to see what we found. 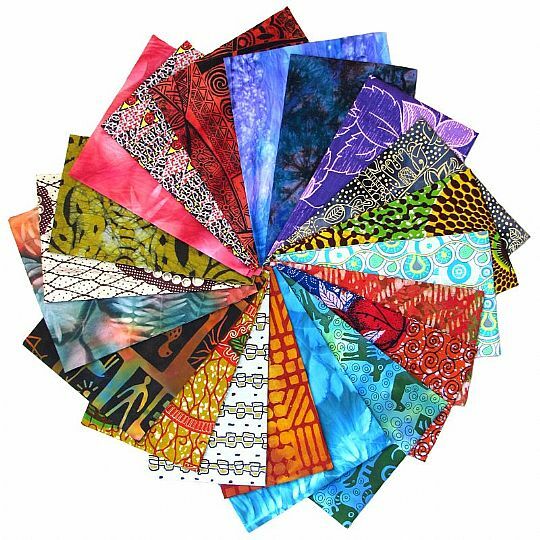 We have so many different types of African fabrics - from genuine African wax print and Shwe Shwe to hand-dyed batiks and sunprints - that sometimes you just can't make up your mind. Go small with a Mini Adventure of 20 small pieces. Or go big with a bumper bundle of up to 25 Fat Quarters. 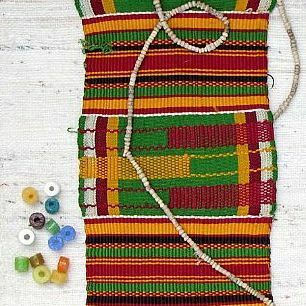 For the creative stitcher, African textiles are fascinating and inspiring. You get wonderful materials: handwoven and hand-dyed by artisan makers. You get great colours: from in-your-face vibrant to subtle natural dyes. Add some recycled, handmade beads and what have you got? One of our African Inspiration Packs! Yes, we sell our African fabrics by the metre. But that's not all. Like Magie, many of our customers are quilters. And what do quilters need more than anything else in life? Why, Fat Quarters, of course. Which means our minimum order is a mere Fat Quarter. Or you can buy a half metre, a metre or more, depending on stock available. 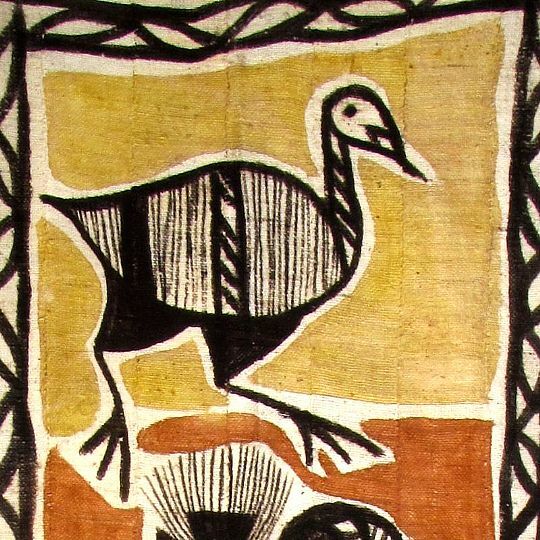 Many African textiles begin with the simplest technologies. Take a drop spindle, then drive four posts into the ground to support the heddles of a basic loom. Add a mortar for pounding leaves, bark and roots into natural dye stuffs. Dig a pit in the ground and fill it with indigo.